We all struggle with thoughts of "not enough" in some area of our life, it is part of what makes us human. 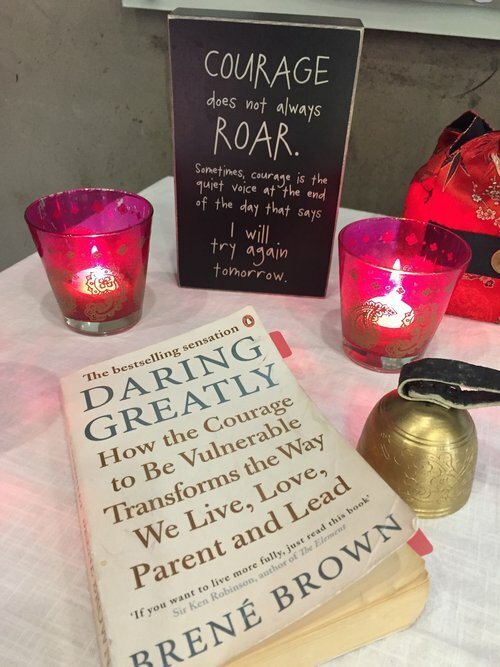 However, it is precisely those thoughts that hold us back from being brave in our lives, taking risks, trying something new or having difficult conversations. How can we show up in life as the person, parent or leader we truly want to be if we are living from a place of "not enough"? During this program we explore topics such as vulnerability, courage, trust, shame and worthiness. Participants are invited to examine the thoughts, emotions, and behaviors that are holding them back and identify the new choices and practices that will move them toward more authentic and wholehearted living. This is done through the development of shame resilience skills and daily practices around empathy and self-compassion.